While the notion of wearables is not new, the recent announcement of ResearchKit and the Apple Watch have drawn much attention to how the consumer market can utilize mobile health technology – and specifically wearables, to better their health. Once buy-in has been firmly established, it will just be a matter of time before the medical-grade sensors are introduced to these consumer products. From there, patient engagement will almost be organic – it will happen naturally. mHealth will enable sites to tap into large communities of people, some of whom might not even know they qualify for a clinical trial. Additionally, once patients are enrolled, mobile health technology will have the capacity to capture data patients themselves once had to keep by way of a diary and will allow them the ability to better engage with their physician. We talk a lot about how mHealth can increase patient engagement, but mobile health technology has the power to benefit investigators and site staff too, especially early on in clinical trial. Beyond providing accurate, regulatory approved data, some of today’s mobile health-related apps can poll the site regarding what might be needed now to improve study operations. For instance, do sites need additional materials that will prove useful to patient recruitment efforts? Apps also have the ability to aggregate investigator trends during pre-screening and allow real-time course-correction as needed to improve screening rates. It is hard to dispute the fact that mobile health technology works. It has the ability to provide a service that can increase engagement in the clinical trial industry. By providing a steady feedback loop, it has the means to promote increased patient engagement and allow sites to take advantage of real-time data to improve the course of the study before additional time and money are wasted. In time it is likely that mobile health technology will be seen as a cost-saver and something a clinical trial cannot do without. 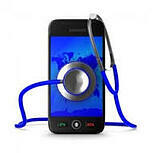 We at BBK truly believe in the power of mHealth and the ability it has to increase engagement across the board. That's why throughout 2015 we are bringing free app infrastructure to clinical study teams. By removing the barrier of cost, our goal is to encourage the use of mobile health technology as yet another effective communications channel that allows for outreach to both patients (via My Clinical Study Buddy®) and sites (My Protocol Pal SM) in new ways. For more information on this and other insights into the state of mobile health technology today, please download our free Focus 5: mHealth.